Let's compares 10 syncing services to see if Google Drive is good enough to challenge established favorites such as Sky Drive and Dropbox. Google's launch in May of Google Drive, its long-awaited online syncing service, has triggered a shake-up of other syncing services. 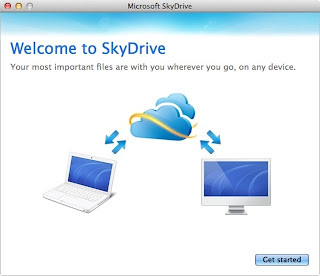 For example, Microsoft launched sync software for SkyDrive, its online storage service, but reduced the amount of space given away free from 25GB to 7GB. As the dust settles, we've taken a fresh look at the top 10 online syncing services, to see which one is the best at keeping your most important files available across two or more computers. We registered for each service and installed the sync software on two computers. We then performed our 'bulk upload and sync' test, in which we uploaded files from the first computer, and timed how long it took for them to appear and fully download on the second. Our 519 test files totaled 58.3MB in size, and comprised a mixture of photos and documents. We then made a simple change to a 3MB photo on the second computer, and timed how long it took for the edited file to transfer back to the first computer. 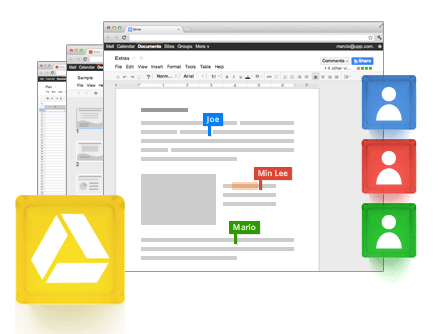 Google Drive is integrated with Google Docs, so if you already use the online office suite, the interface will be reassuringly familiar. 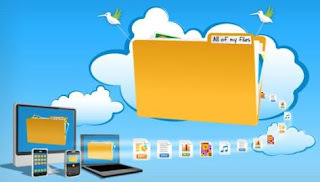 However, this also means that when you install the Google Drive folder on your PC, it will f ill up with your Google Docs files, so it's best to carry out some folder management before you start. 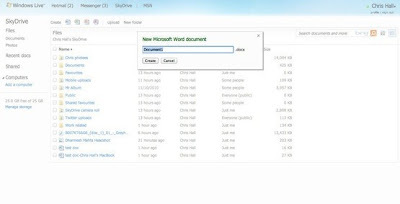 Move any Docs you don't want downloaded to your PC to a separate folder that won't be synced. The rest of the service is close to perfection. Google is giving away 5GB of space for free and your Google Docs files are stored separately, so they won't use up any of this quota. 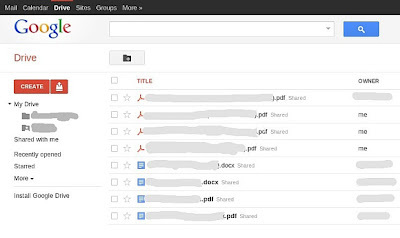 You can install the Google Drive software on any number of computers, and it will create a Google Drive folder on each one. 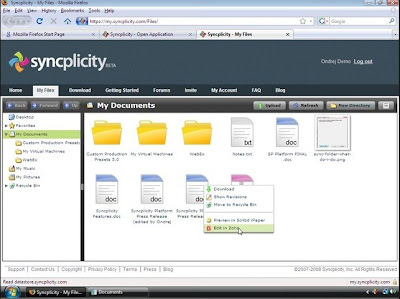 You can then choose which of your online folders should be saved on each PC, so you don't have to have every online folder accessible on every computer you use. The Drive folder is fully integrated into Windows Explorer and a shortcut is created on your Desktop to provide easy access. It also appears automatically in the Favorite Links section in the top left of Explorer windows. 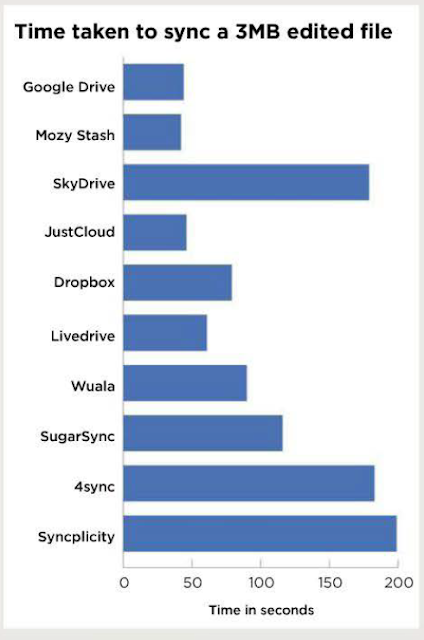 Google Drive was only the fourth fastest in our bulk upload and sync test. However, only a minute separated second, third and fourth, leaving Mozy Stash as the runaway winner. Once files are stored online, Google was second fastest at syncing the changes to our edited photo from the second PC back to the first. This took 44 seconds, only two seconds longer than Mozy Stash. Google Drive wins our Gold Award because it's easy to use, but has plenty of tools and options if you want to delve deeper. It installs a folder on each of the computers you want to be kept in sync. It can also sync with the Google Drive web interface, which has been merged with Google Docs. If you already have a Google account, the service is well worth trying out. If you currently carry your files around on a USB flash drive, you can transfer them to Google Drive and throw the USB drive away. 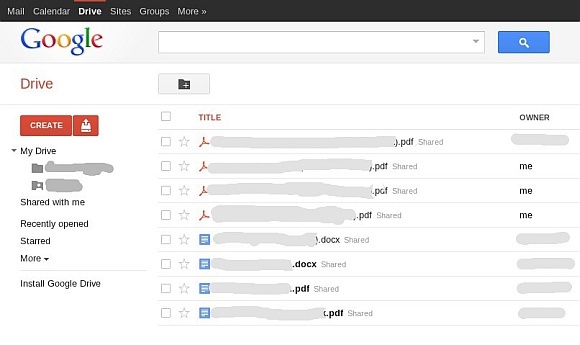 Google Drive will keep your files safe and accessible wherever you go. 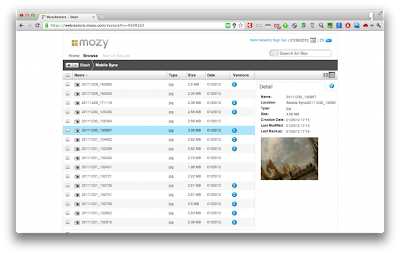 Mozy Stash is a companion to MozyHome, the online back-up service. 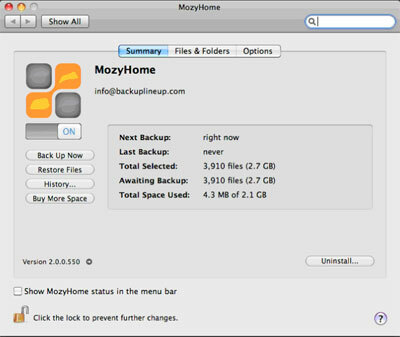 However, it has its own software and can be used without installing MozyHome. Stash is in a public beta test phase at the moment, but it shows so much promise that we've given it our Silver Award. Like Google Drive, you install the software and get a sync folder (called 'Stash') integrated into Windows Explorer on your PC. You can install this onto any computer and, when you're logged in and online, any changes you make will be reflected on every PC. 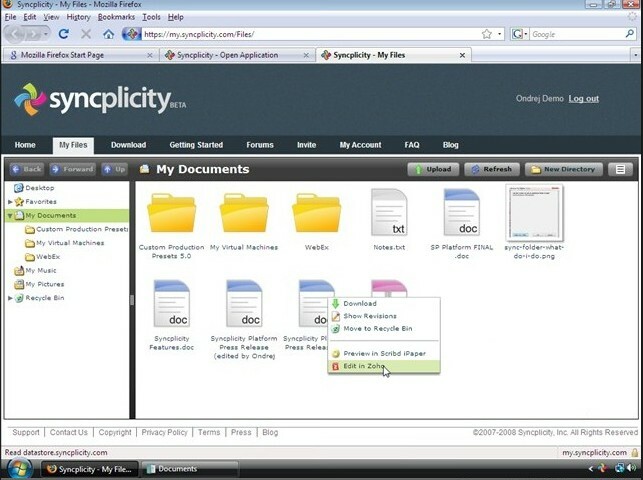 The contents of the folder can also be accessed via the web using the same interface MozyHome uses to provide access to backed-up files. 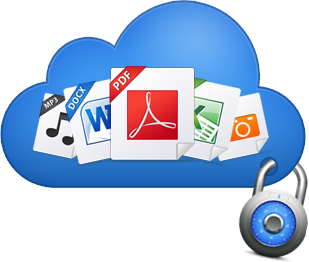 Its basic compared to Google Drive or SkyDrive, but it performs the simple job of sharing files over multiple computers very well. If you're looking for online back-up as well as sync, then getting both services through a single account makes sense. Perhaps the most exciting thing about the service is its speed. In our tests, it beat all the other services in this Group Test by a significant margin. It took just 10 minutes and 39 seconds for all 58MB of test files to upload and appear in the Stash folder on the second PC. When we edited our test image, it synced back to the first PC in just 42 seconds. You can get a 2GB Stash for free by signing up to Mozy's standard back-up trial. If you need more space, you can get 50GB for £4.99 or 125GB for £7.99. This starts to look expensive next to the likes of SkyDrive and Google Drive, but it's worth considering if you're also looking for an online back-up service. It's not often that beta test versions of software win an award in our Group Test, but Mozy Stash impressed us a lot. What really won us over was its speed, which was significantly faster than all the other services we tested in both our bulk-uploading and file-editing tests. It does a great job of keeping a single folder synced across a number of PCs. You can also run MozyHome's online back-up service alongside your Stash, to back up your PC's files online. SkyDrive has been around for years, but a recent revamp brings new software for syncing files across computers. Its biggest flaw is that the software doesn't work in Windows XP. 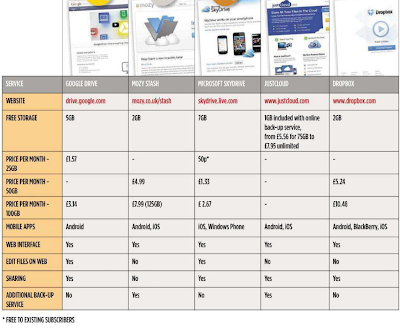 Since most home networks include older PCs, this omission seems rather short-sighted. SkyDrive is great value. New users get 7GB of space for free, though existing users can keep the 25GB they already have. Adding another 25GB costs just 50p per month and further upgrades (up to 100GB for £2.67 per month) offer the best value for money of all the services in this Group Test. It took more than 20 minutes for the files from our first PC to appear on the second, and three minutes for the edited file to transfer. As long as you don't need it to work on Windows XP, SkyDrive has most of the features Google Drive offers, including editing and managing documents, and good sharing tools. The service was slow in places, but if capacity and price is more important than speed, Sky Drive offers more space for less money. Like Mozy, JustCloud is an online back-up service that comes with a syncing tool. Like Livedrive Briefcase, there's no permanent free space on offer. You can try the service for two weeks, but then you'll have to pay from £ 5.56 per month. It came sixth in our bulk-uploading and syncing test, with a time of 23 minutes and 35 seconds. It synced the edited photo very quickly, however, coming third with a time of just 46 seconds. The sync tool only comes with 1GB of storage, though you can upgrade it to 20GB for £3 per month. 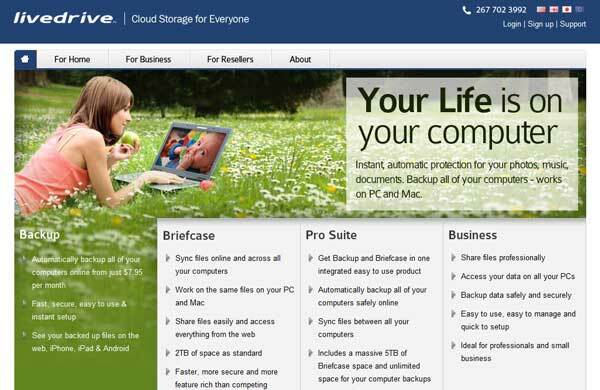 JustCloud has a range of back-up capacities, including unlimited storage for £7.95 per month, which is great value. 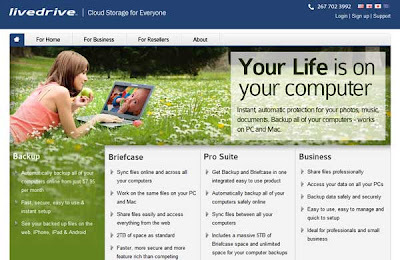 The lack of a permanent free option might put some people off, and JustCloud's sync tool isn't as sophisticated as Google Drive and SkyDrive. However, it is attached to an attractive unlimited back-up service, which makes it a good option if you're looking for a combined service. 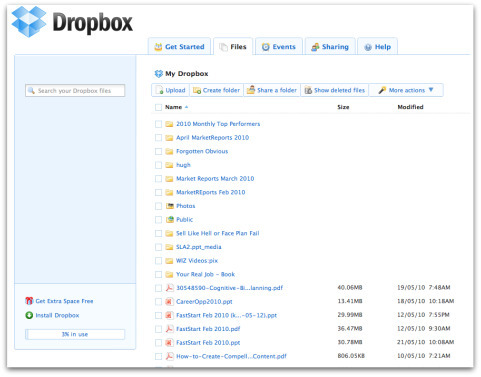 Dropbox was one of the first services to offer a syncing tool, and it’s been among the best since it launched. However, competition has become stiff in recent months, and while Dropbox does a good job, it's starting to look expensive. You only get 2GB of free storage, which is less than Google Drive's 5GB and SkyDrive's 7GB, and if you need more space, upgrades are expensive, with 50GB costing £5.24 per month and 100GB costing £10.48. 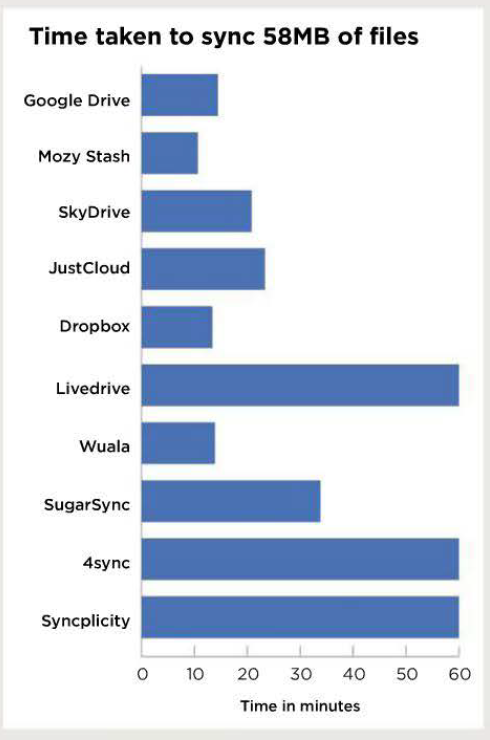 It performed well, coming second behind Mozy Stash in our bulk-uploading and syncing test, though it was only fifth fastest at syncing changes to a file. 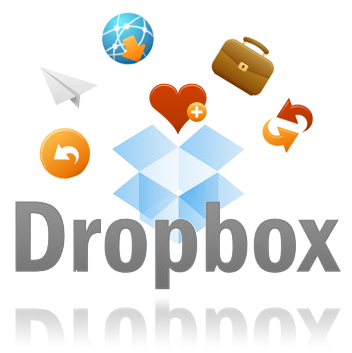 Because it's been around so long, Dropbox has ironed out many of its flaws, but it needs to drop its prices to compete with the rest of the field. 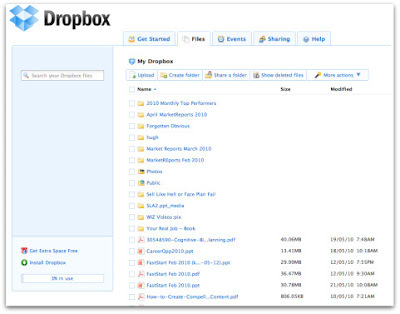 If it weren't for the new competition from Google Drive, and the recent addition of SkyDrive's syncing software, Dropbox might be closer to the top of the group. But its free service is starting to look small and its upgrades expensive, compared to what's available from Google and Microsoft. Like JustCloud, Livedrive comes with a time-limited trial. Once the two-week trial is up, you'll have to pay to carry on using it. 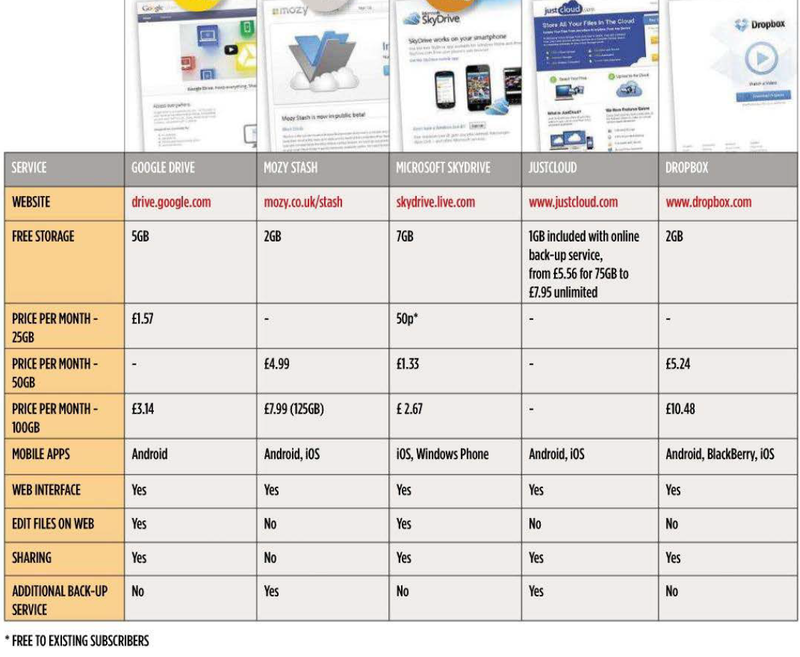 However, for £9.95 per month you get a mammoth 2TB of online storage space, which is superb value for money. Left to its own devices, lived rive Briefcase is slow to sync files, but as long as you're connected to the internet, you can override this by downloading individual files. If you have a lot of data to store, the 2TB of space for a very reasonable price tips the balance back in LiveDrive Briefcase's favor. Wuala gives away 5GB of storage for free, but its upgrade prices are much more expensive than Google's and Microsoft's. It doesn't install smoothly, either. Our original download needed two updates, making a total of three reboots before we could start using it. 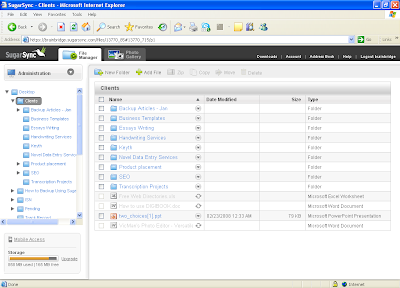 Wuala has its own interface and doesn't integrate with Windows Explorer, which makes it less easy to use. Its speed was impressive, coming third in our bulk uploading and syncing test, but it wasn't quite so good at syncing edited files, coming sixth overall. 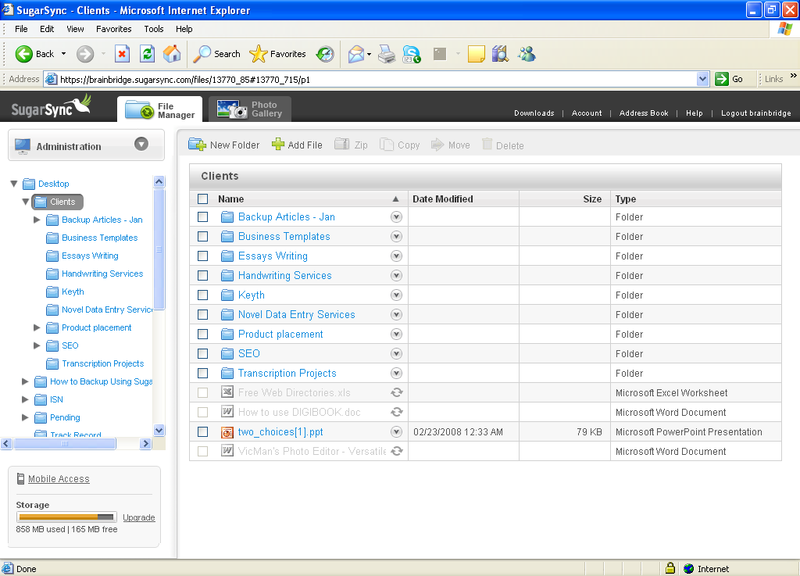 SugarSync has a Magic Briefcase folder that syncs with the Briefcase folders installed on any other computers linked to the service. Names of files are synced from the source PC to the destination computer very quickly, but then SugarSync marks them as 'pending' and they can't actually be accessed. This can be frustrating, especially since it took 33 minutes and 50 seconds to sync our test files, which put SugarSync in seventh place. 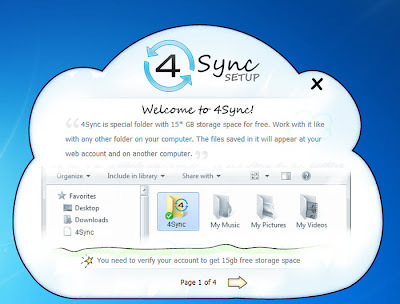 4sync is generously giving away 15GB of storage space. However, be careful not to install the browser toolbar. If you select the custom installation option, you can choose not to install it. Unfortunately, 4sync was still syncing our files an hour after we started, and it was second-to-last in our edited file-syncing test. With slow performance and the risk of installing an unwanted browser toolbar, you'd have to really need the 15GB to make it worthwhile using 4sync. Syncplicity initially performed a super-fast upload but it then slowed right down when transferring the files to our second PC, and ended up taking more than an hour to sync all our files. 2GB of storage space is available for free, but the next step up is 50GB, which costs £9.43 per month. This is very expensive compared to the other services in this Group Test. By linking closely to Google Docs and using everything Google knows about online services, Google Drive has stormed straight into top place, winning our Gold Award. It has loads of tools available and there's a reasonable amount of space available for free. If you need it, upgrades to the size of the storage space are reasonably priced. Our Silver Award goes to Mozy Stash, which is so new it's still in beta. However, it was the fastest at taking our test files from one computer and making them accessible on another, which is what online syncing services should be all about. Microsoft's SkyDrive won our Bronze Award. It wasn't particularly fast, but has just as many extra tools as Google Drive. 7GB of free storage (25GB if you're already a SkyDrive user) and very cheap upgrade options make this an excellent choice for those on a tight budget with a lot of files to sync.